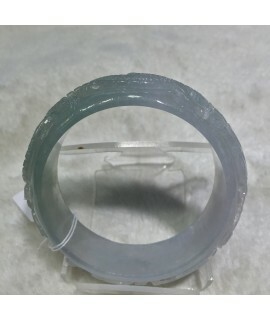 Authentic Myanmar Jade Bangle with pale blends of lavender and green color. From the outside, you ca.. 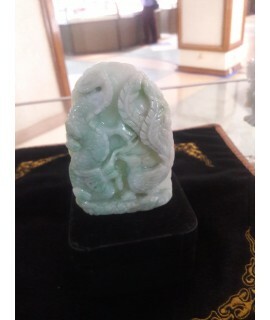 This JADE DRAGON-ZARMANI is professionally handmade. It is a unique piece of Myanmar imperial Jade ..